BOSTON, MA - APRIL 24, 2003 - International Data Group (IDG), the world's leading technology media company, announced today the appointment of Rick LePage to president and editorial director of Mac Publishing LLC, publisher of Macworld, the premier magazine for the Apple Macintosh industry. LePage brings more than 18 years of Macintosh experience to the position. In early 1985, he co-founded the MacInTouch newsletter, and then held several editorial roles at MacWEEK, ultimately as publisher and editor in chief. Following a period as vice president, business development and general manager of CreativePro.com, Rick was appointed editor in chief of Macworld in 2001. "In Rick LePage, Mac Publishing has an outstanding leader," said Colin Crawford, vice president, business development and operations of IDG and former CEO of Mac Publishing. "He is highly respected throughout the industry, has a thorough knowledge of Macintosh products and technologies, and exhibits a true passion for the industry." In his new role, LePage will be responsible for Macworld magazine and its associated online properties, Macworld.com and MacCentral.com, as well as Linuxworld.com and Javaworld.com, which are also managed by Mac Publishing. "It is with great pleasure that I take the reins of Mac Publishing," said LePage. 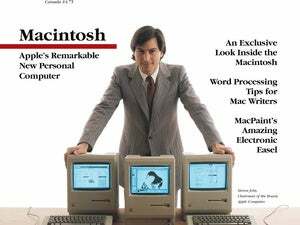 "I look forward to enhancing the development of our service to the Macintosh community, through the editorial excellence of Macworld magazine and Mac Publishing's other properties."